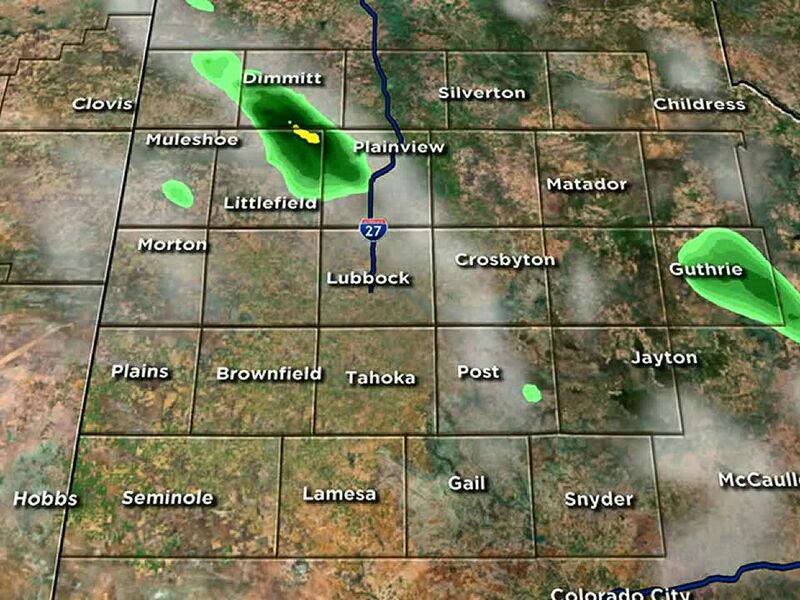 LUBBOCK, TX (KCBD) -Today’s temperatures and winds have been impacted by cloud cover. The afternoon highs have ranged from the 80s along the Texas/New Mexico state line to the low 70s along the Caprock. As for the winds, some have gusted to near 30 mph in the western south plains and lower speeds in the central and eastern South Plains. 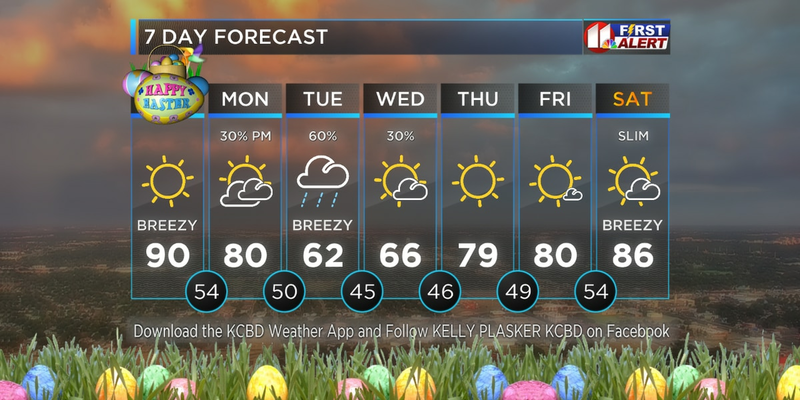 As for the mid-week forecast, it will be windier for most of the region as a storm system moves toward the south plains. Winds will continue from the south to southwest at 15-25 mph with gusts as high as 35 mph, depending on cloud cover and the approach of the weather system. 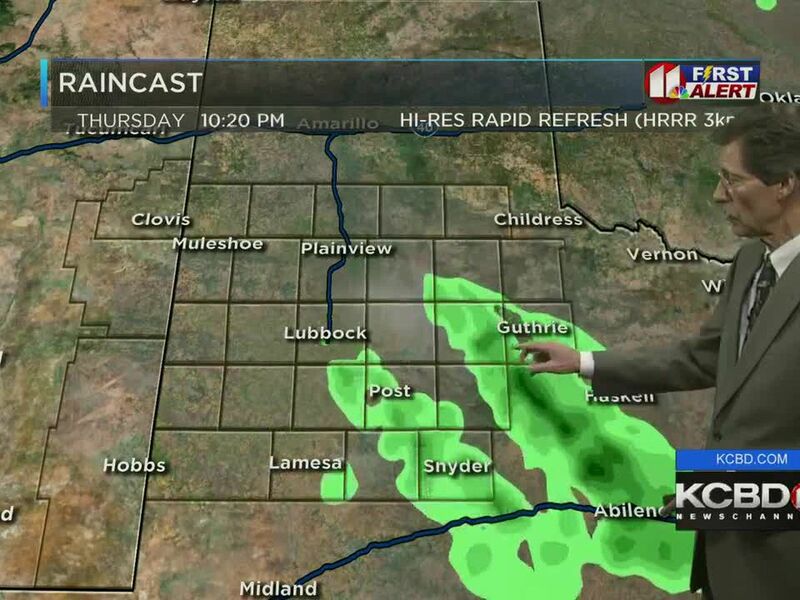 Those dry southwest winds will likely push most of the moisture needed for rain to the east and leave only a slight chance of a few showers and storms in the area Wednesday night into early Thursday morning. Fire danger will remain elevated due to the dry, gusty winds on Wednesday with the greatest threat in the western south plains and eastern New Mexico. Temperatures will remain in the mid 70s on Wednesday afternoon, but will drop with a cold front by early Thursday morning. With a northerly wind of 15-25 mph with low on Thursday will fall to the mid 40s and the afternoon high will stay around 70 degrees. It will be windy, as well as cooler day with winds gusting to 25 mph on Thursday. Good Friday will begin chilly, but with sunny skies the afternoon should be in the 70s. John is a fan of the great outdoors and when the skies aren't stormy you'll find John with fishing rod in hand, headed for his favorite spot to toss out a line. He and his family are avid campers as well. But when he's not fishing or camping he and his son can be spotted driving and showing their blue 1971 Mustang around town.